The peek preview I posted earlier was one from a blogpost I have been postponing for quite some time now. I being an inquisitive gardener, like experimenting. This, the pomegranate plant, second one, which I grew in my rooftop garden in an earthen pot. Though, I understand plants like these, or the mango plant, that I transplanted into a bigger vessel, last month, are supposed to be trees needing bigger growing space, that is, the unending space to spread their roots as much as they like, in open lands, I have none. That shouldn't stop me from trying on to grow them, in whatever little space I have. Does it? 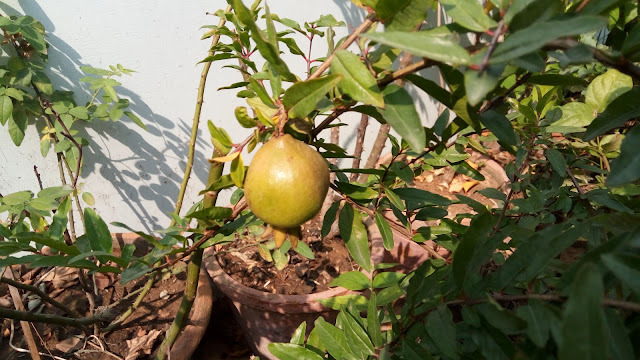 The pomegranate plant that I've got here is one that grew out of seed from pomegranates I bought from the market for consumption. I decided to throw away some of those in a couple of pots, and this was the result. It has been around two years since this happened, and what more? 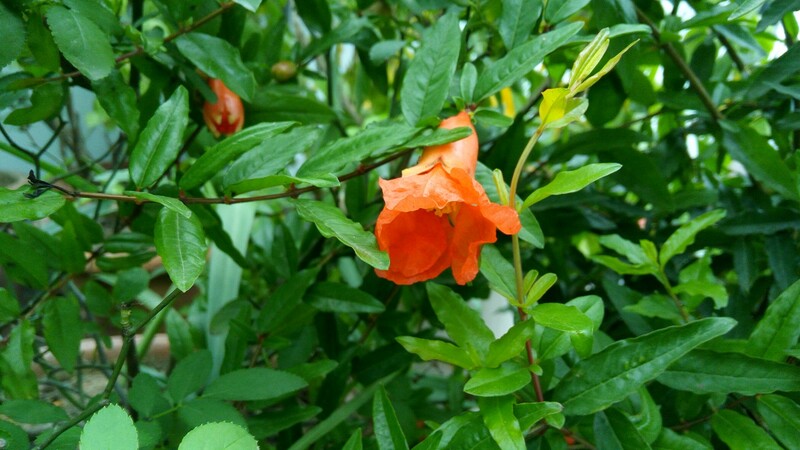 The young two feet plant, in a small earthen pot bore dozens and dozens of flowers last monsoon. 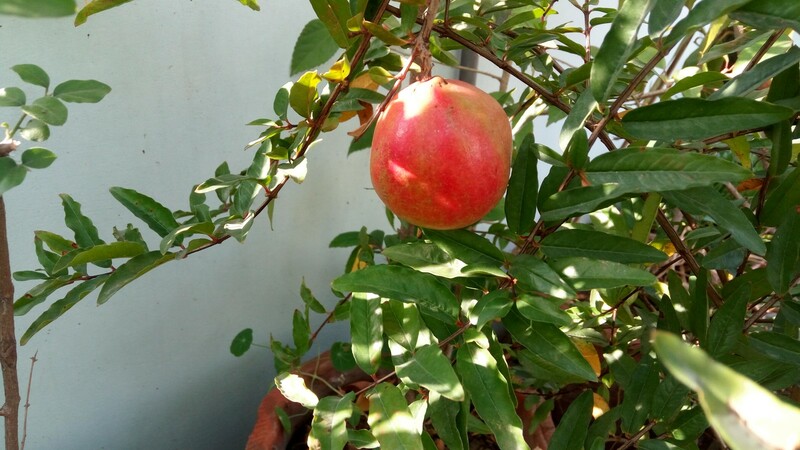 Though, I knew very well that it was too much to expect fruits from a plant this small, actually baby in the true sense, when it comes to fruiting plants and trees. Seeing a small bud in the plant… Good Heavens. Seeing that small bud grow bigger and healthier, more happiness. I was more than elated. Seeing the plant grow from a fragile sapling, growing and fighting it’s way to become a healthy plant, showing beautiful blooms, still fighting the nature to keep itself alive, and then finally, bearing a small fruit for the care giver… Awesome! What more could I have asked for? What a great series of photos! I can imagine how elated you were! The flower would have been enough for me, never mind the fruit!